Does the current functionality of your WooCommerce Products meet your needs? Would you like to add Conditional Logic to your forms? Need further Pricing options to grab your shoppers attention? Extra Product Options is the best WordPress Product Plugin you have been searching for. You can create priced product options and addons, conditional logic (within the form builder), build forms, style & validate features, convert the variation attributes dropdowns to radio buttons, image swatches or swatches and much more. You can even control the placement of your new fields with the Form Builder. Full support for checkboxes, radio buttons, select boxes, text-areas, input boxes, upload, date, range picker and color picker. Supports color/image/text variation swatches and dropdown select. | Woocommerce improved variable product attributes and attribute swatches. | Global color or image values for attributes. | Inbuilt color/image product filter. | Works on mobile devices. | Inbuilt direct variation link feature. | Different sizes of swatch from small to large. | Square as well as round swatch support. | Option to display option name below swatch. | Shows color or image swatches on shop/category/tag archive pages. | Change product image on swatch hover on category/archive pages. | Color , image swatches compatible with [product_page ] shortcode. | Convert your normal variable attribute dropdown select to nicely looking color or image select. You can display images or color in all common size. Display them in round or square mode. Automated online booking & scheduling for WordPress: fully customizable booking form with online payments, notifications, and Google Calendar sync. Bookly Pro add-on enables advanced features of Bookly online appointment scheduling plugin. With Bookly Pro, you can remove all the limitations of the free version of Bookly WordPress booking plugin. The easiest way to build an online WordPress directory website is to install Web 2.0 Directory plugin. As well it is really easy to convert any existing site into a fully featured directory business website with the directory plugin. Wordpress directory plugin for any purposes, and examples would be classifieds, events directory, cars, bikes, boats and other vehicles dealers site, restaurants, pets, real estate portal, wedding site, yellow pages, local directories, map store locator. There are multiple options to to set up revenue generating streams and control them on your personal WordPress dashboard. You can use the plugin for both free and paid listings. The plugin allows visitors to submit new listings or even packages of listings, claim and manage existing listings using the website frontend. Moreover, it also features location based directory. Maps & map markers functionality gives users fast and easy ability to find nearby places by powerful search system. The plugin offers tons of features. Print listing, save in bookmarks, download in PDF, SEO friendly pages, images, YouTube and Vimeo videos attachments, custom fields, custom icons, customize colors and much more customization options. 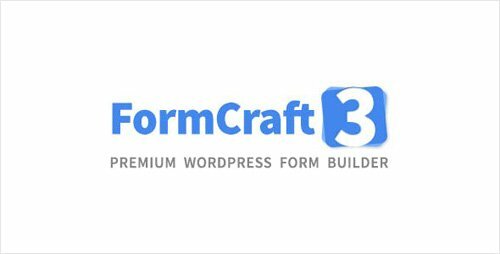 FormCraft is the most complete, flexible & customizable Drag & Drop Form Builder tool for WordPress on the market. Powered by Drag & Drop Functionality. With the familiar drag & drop style of editing, FormCraft is a breeze to use. With a clean GUI to work in behind the scenes you simply drag the item you need from the menu and drop it in place on the form you have chosen. Everything is WYSIWYG so move it around with your cursor and drop it in place. Boom! Form built. It’s crazy simple to create complex, awesome forms. Some of the main features we plan for Brizy Pro: Dynamic Content | Premium Designs | Headers & Footers | 3rd-party Integration | Pop-up Builder | Role Manager | Advanced Forms | A/B Testing ... The features above are just a few extended functionalities that will be included with your Brizy Pro purchase. We have a long list of Pro features in the works that all subscribers will have access to, as soon as we launch them. Premium Add-ons with awesome new widgets for Elementor. Custom Woocommerce & Easy Digital Download Websites. Create a unique and modern E-Commerce website for your business with Briefcase Elementor Widgets, make your own homepage, shop page and single product just as you imagined it. Ultimate Addons for Beaver Builder. Transform your productivity with custom Beaver Builder modules and templates. Everything you need to build a stunning website faster than ever before! 45+ Unique Modules:Various custom modules like Row Separator, Modal Popup, Advanced Posts Grid. | 200+ Row Sections: Readily available Row Templates and sections to assemble and build pages quickly. | 100+ Page Templates: Professionally designed pages on demand, directly from our Template Cloud. The #1 Beaver Builder Addon Developed Just For You Build the websites you've always wanted with PowerPack Beaver Addons. 50+Custom Modules: Creative modules to help you build better websites. | 150+Page Templates: Ready to use Page Templates for various business niche. | 200+Section Templates: Drag & Drop sections and rows to build a custom page. Awesome Software, Great Support, and a Helpful Community. Beaver Builder is the page builder you can trust with your business. Take control and join over 500,000 WordPress websites built with Beaver Builder. Easily backup, restore or move your WordPress site to another domain or server with BackupBuddy, the best WordPress backup plugin. Sites get hacked every day. Our passwords are rarely as strong as we think. And sometimes it doesn't matter. Sometimes we (or our clients) delete the wrong file or make a change that breaks something. Ever trigger a fatal error from a bad plugin? Crashes happen. But with BackupBuddy, recovering from a problem is quick and easy. Easily backup, restore or move your WordPress site to another domain or server with BackupBuddy, the best WordPress backup plugin. Sites get hacked every day. Our passwords are rarely as strong as we think. And sometimes it doesn't matter. Sometimes we (or our clients) delete the wrong file or make a change that breaks something. Ever trigger a fatal error from a bad plugin? Crashes happen. But with BackupBuddy, recovering from a problem is quick and easy. Easily backup, restore or move your WordPress site to another domain or server with BackupBuddy, the best WordPress backup plugin. Sites get hacked every day. Our passwords are rarely as strong as we think. And sometimes it doesn't matter. Sometimes we (or our clients) delete the wrong file or make a change that breaks something. Ever trigger a fatal error from a bad plugin? Crashes happen. But with BackupBuddy, recovering from a problem is quick and easy. 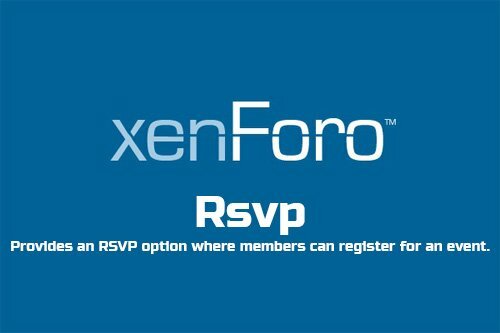 Provides an RSVP option where members can register for an event. The RSVP block is shown in the thread view above the first post. Features: All phrases start with rsvp_ for your convenience. 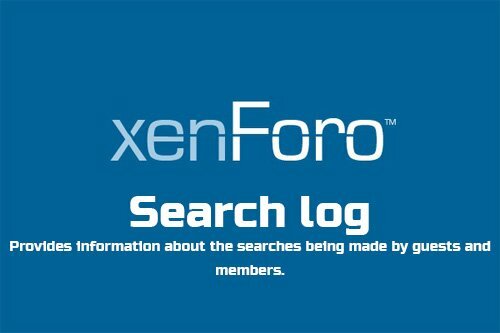 Provides information about the searches being made by guests and members. 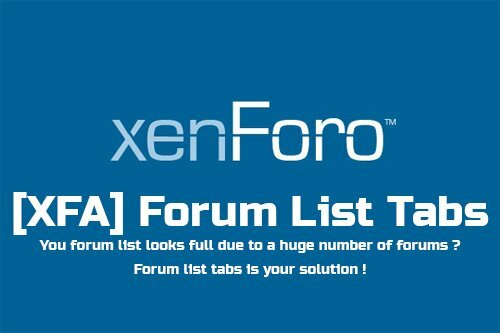 By looking at the Search Log admin can make better decisions regarding forum design, organization and more. Features: All phrases start with searchlog_ for your convenience. Displays a history of previously viewed resources. 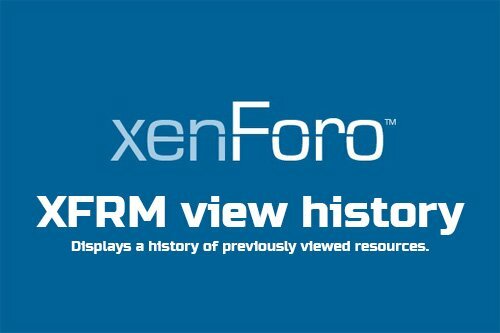 Features: All phrases start with xfrmviewhistory_ for your convenience. A fully integrated map system based on forums and threads. 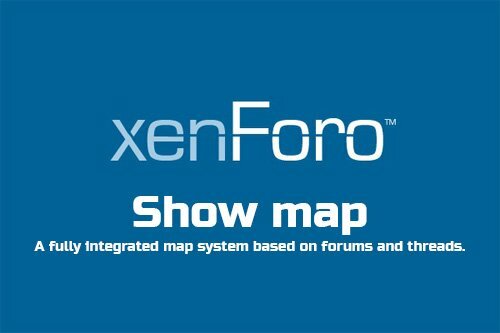 Features: Individual maps are created for each forum. | Map markers link back to threads. | All phrases start with showmap_ for your convenience. 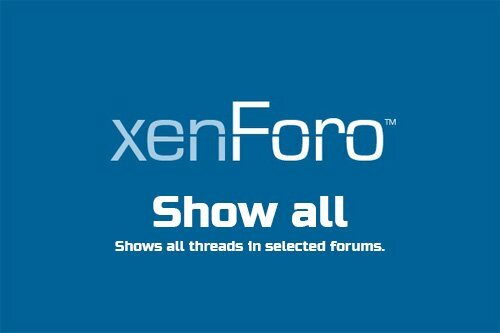 Shows all threads in selected forums. Features: All phrases start with showall_ for your convenience. 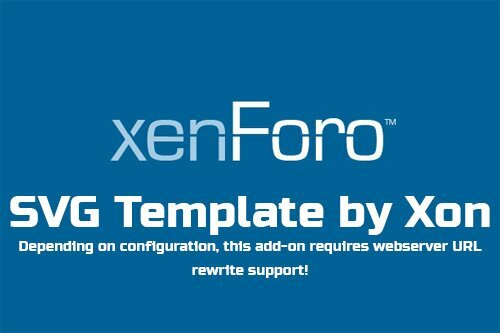 Depending on configuration, this add-on requires webserver URL rewrite support! Allows SVG (Scalable Vector Graphics) images to be stored as templates. This creates a new svg.php file in the XF root directory.